6th Annual Coaches Camp -- the first 5 sold out! Limited number of spaces for pitchers and catchers. Registration Price: $450.00 Click here to learn more or to Register! 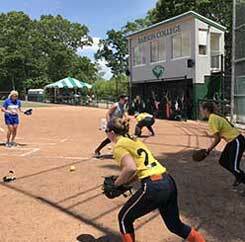 Thank you for visiting the Northeast Collegiate Softball Academy website! 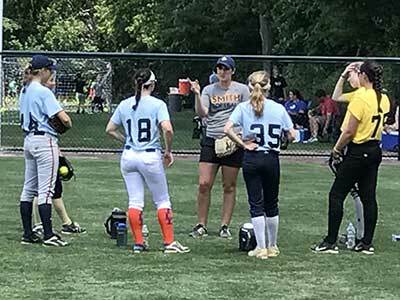 NECSA offers a unique camp and clinic experience for high school varsity athletes who want to play softball in college as the Academy is organized and directed by college coaches. 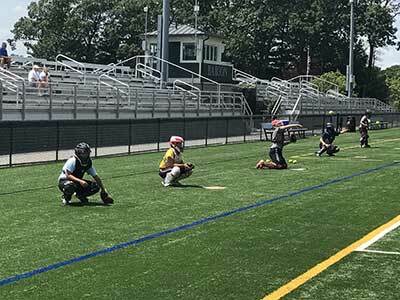 The coaches from Babson College, Middlebury College and Wesleyan University are the owners and directors while coaches from other highly academic schools in the NESCAC and the NEWMAC will also be on staff. Recruiting information session for parents and athletes which will answer the many questions surrounding DIII recruitment, such as: the academic life of a student-athlete, recruiting time frame, NCAA rules and the do’s and don’ts of recruiting for both parents and athletes. Don't hesitate to contact us with any questions. We look forward to seeing you out on the field this summer! We have SOLD OUT the last 4 years -- number of pitchers and catchers will be limited.